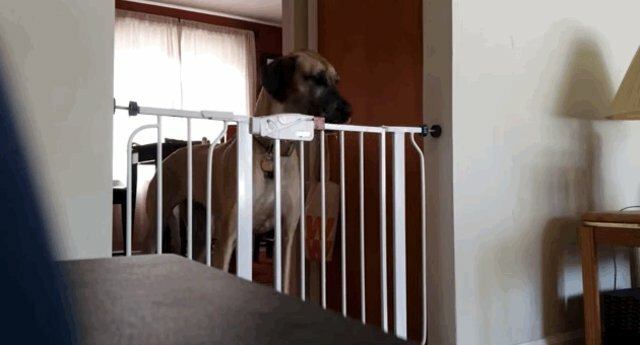 Bambi the Great Dane isn't so keen on being fenced in. In fact, it's pretty adorable that this little gate is supposed to keep her off the couch. 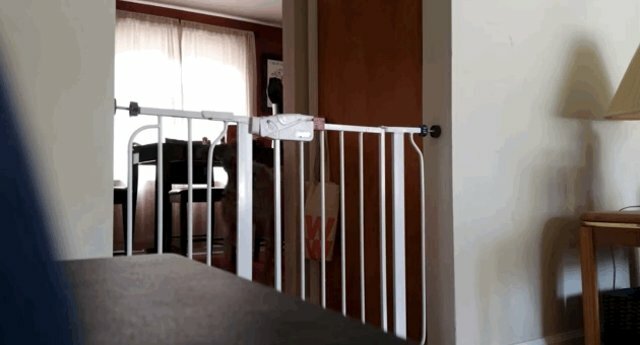 Instead of getting annoyed, Bambi demonstrates the full extent of her cleverness by opening up this pesky gate - with no hands! ... and Bambi's free to roam as she pleases! 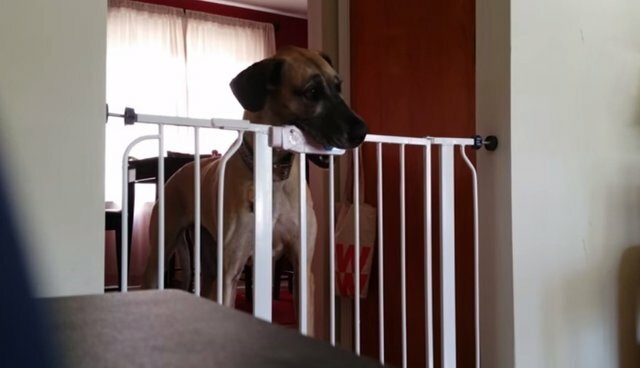 Says her owner on his YouTube video, "We set this gate up to keep [her] off the couch. Apparently the safety gate is NOT Dane proof." 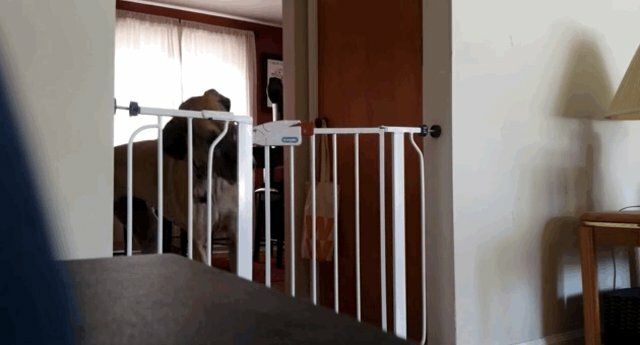 Great Danes are very loving and sensitive dogs, despite their intimidating size. You can find other sweet-natured Danes like Bambi up for adoption here. And of course, always make sure your dog gets enough exercise if they stay indoors!